Join the cohort and the Startupbootcamp FinTech team for a panel and the last social of the year on the 16th, November. A great opportunity to connect and network with like-minded individuals within the FinTech sector, with panel discussions to get involved in. PANEL: How banks and FinTechs benefit from collaboration? 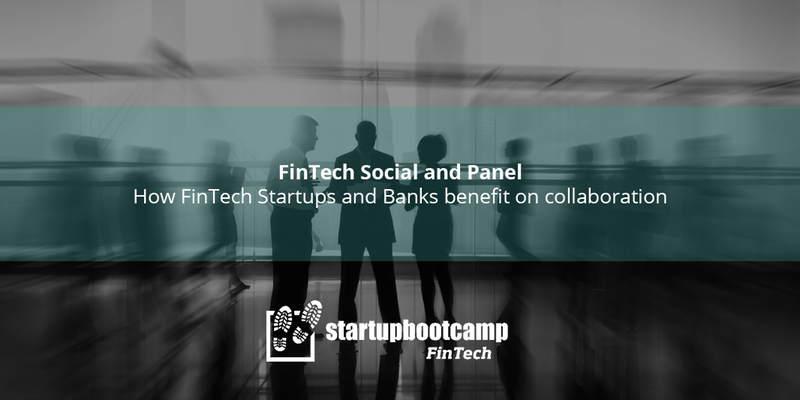 Join the discussion about the collaboration between banks and FinTechs. We have seen a huge shift in the space over the last few years. Implementing advanced technology in banking could both streamline operations and increase revenue. However, is this sustainable? What are the complexities involved? Does this fall in line with banking regulations? What are the benefits for FinTech Startups? How to make collaboration happen? Come and join us and let’s get the answers to these questions together.